Commercial and recreational fishing have been and are an important way of life in communities along the shores of northeastern Lake Michigan. Fish tugs, Janice Sue and Joy, in Leland's historic Fishtown. Photo credit: Keith Burnham. Coastal northwest lower Michigan is filled with scenic landscapes, orchards, woods, and coastal towns—and rich in Great Lakes fisheries heritage and tradition. These coastal fishing towns are known today for diverse tourism, recreational boating and fishing opportunities. 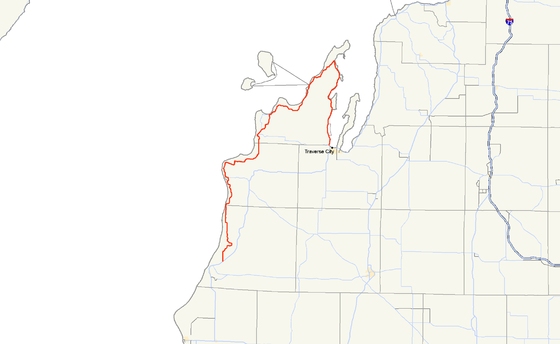 In fact, the Lake Michigan coastline of northwest Michigan and its Leelanau County peninsula was once lined by numerous commercial fishing operations fishing. A strong remnant of these commercial fisheries remains active today. Both tribal and state licensed commercial fishers operating out of Peshawbestown and Leland’s historic Fishtown. Fishing for food, they return catches of whitefish (Coregonus clupeaformis) and other species for local restaurants and families. In addition, fishing for fun (and food), recreational fisherman actively troll and fish waters of Grand Traverse Bay and open Lake Michigan for a variety of species including King & coho salmon, lake trout, perch, smallmouth bass, and others. Both the commercial and recreational sides of fishing on Lake Michigan reflects a way of life for many in this region, contributing to community culture and character as much today as they have in the past. The Michigan’s Great Lakes Fisheries Heritage Trail offers a great opportunity to learn about fish and people of northwest lower Michigan, bringing to life today’s Great Lakes fisheries through exploration of the historic fisheries of our past. This statewide trail highlights a wealth of places and experiences available to those interested in learning more about our Great Lakes fisheries. Michigan Sea Grant and Michigan State University Extension have been collaborating with many museums, university, agency and fishing industry partners from across the state in establishing this heritage tourism trail as a resource for communities and travelers, alike. 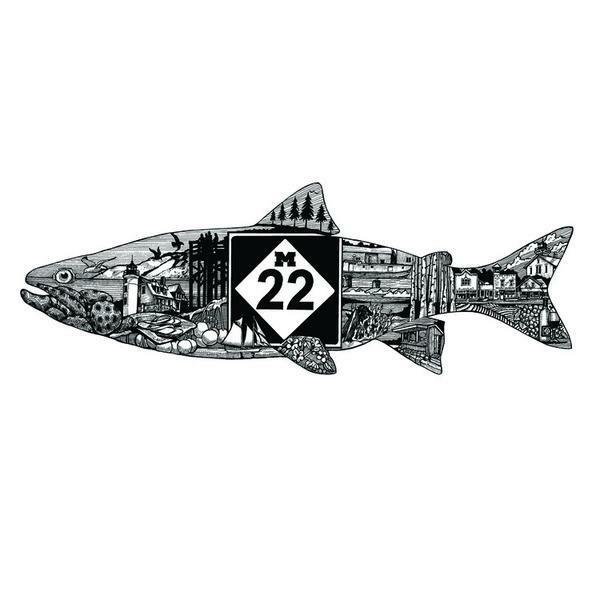 Leland and Leland’s Historic Fishtown—at Fishtown, you can experience a living active fishery, both tribal and state licensed, where food fish arrive dockside several times per week. Whitefish are caught in trap nets and brought aboard historic fishboats, such the Joy and Janice Sue. You can enjoy the smell of smoked fish in the air, purchase fresh or smoked fish at Carlson’s Fishery or grab dinner at the Bluebird Restaurant & Tavern where authentic images of commercial fishing families of Leland hang. You might also want to visit the Leelanuau Historical Museum just a few steps away from Fishtown to view exhibits interpreting local maritime history. Glen Haven and Sleeping Bear Dunes National Lakeshore— visit the turtle-back fish tug Aloha on display on the shore at historic village of Glen Haven. Explore the world of small craft including life-saving boats at the nearby Cannery Boat House Museum in Glen Haven. Just a mile west along the shore find the 1902 Sleeping Bear Point U.S Coast Guard Station Maritime Museum. Life saving crews based at the Sleeping Bear Point Life-Saving Station stood watch to rescue mariners from the sometimes treacherous waters of the Manitou Passage between the mainland and the Manitou Islands. Northport— Great Lakes sport trolling with home-made gear was made popular off Northport in the 1930s. The equipment and methods that George Raff, his wife Nell and the guides at Raff's Camp developed have spread throughout the Great Lakes. A Michigan Historical Marker notes this key development inside the G. Marsten Dame Marina in downtown Northport. Peshawbestown— fresh and smoked fish may be available for purchase if you stop by the Grand Traverse Band of Ottawa and Chippewa Indian's Arthur Duhammel Marina on the shore north of the Village of Peshawbestown. Suttons Bay— visit the Inland Seas Education Association education center and sail aboard schooner Inland Seas where you can learn about native Great Lakes ecology and aquatic invasive fish like the Asian carp, which threaten to enter the Great Lakes. Greilickville—TheDiscovery Center – Great Lakes and Pier offer opportunities to get close to boats and maritime heritage. Kids looking for a place to explore and learn about fish? Visit the Great Lakes Children’s museum where fun hands-on activities are found in abundance. On campus find the Grand Traverse Bay Watershed Center and the Maritime Heritage Alliance's boat shops and small boat display. On the shore at Discovery Pier see the tall ship Madeline a reconstruction of a 19th century Great Lakes schooner and the other tall ships in the region's fleet of schooners. Traverse City—How about hands-on fishing with captains of the Michigan Charter Boat Association? A future fishing pier is under active planning and development in Traverse City at the mouth of the Boardman River in Downtown Traverse City. A riverfront restaurant the historic Fishtown community that serves local Great Lakes fish dishes. Waterfront dining at this restaurant in Leland, Mich. offers Great Lakes fish menu options. Local historical museum with an archive that includes oral interviews with commercial fisherman and historic photographs of Fishtown and fishing industry. Non-profit owning and managing Leland's Fishtown property.